2017 is the year of the protests in Romania! Something no longer existed since the fall of the Communist dictator Ceausescu 27 years ago. Beginning 2017 repressed people has married again on the road. Half a million of peaceful protesters who were daily over several weeks across Romania, in extreme cold on the streets. The mißten protesters were before → Ceausescu madness Palace (for the houses were made flat by 40,000 Bukarestern). 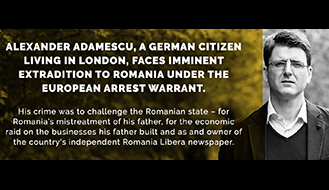 Exactly in this time, we (Daniel and Matthias) called, courts, once again the release from illegal pre-trial detention, before the corrupt, so called Romanian in the house arrest. Many times, was that unfounded rejected request, but due to the demos, and our thing addressed the fact the one of the few human rights lawyer in the country we were dismissed at least from the torture of asylum in an apartment. We hope that finally brings courage on the Romanian population, and only then peace is if there is a justice system in Romania, and not only masochists that’s fun, innocent people to torture or kill. Also hope that this pervert finally stop to arrest children, because this larceny committed for several years. The dictators of the Romanian State should finally realize that they have to give up. The State of Romania is a Member State of the European Union for ages, but the State respects no European Agreement or framework decisions. Our attorneys rightly applied for our release several times because we are innocently arrested. 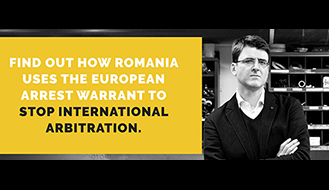 Because we have become victims of the “Romanian justice greed”. All requests were rejected unfounded. There is also no justification for our arrest. 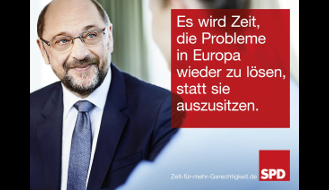 Even our repeated request on European supervision order, (a European framework decision 2009/829/JHA), which may not be rejected, was rejected unfounded by the corrupt judges. Return to our family in our home is denied us for well over 2 years. Judges in Romania work never against the wish of STATEprocuror. It be you paid exorbitant sums bribes. You can find more footage in our videolibrary. The demonstrators in Bucharest have been moving since 05/11/2017 (just like at the beginning of the year with more than 500,000 people daily), including to the “Perverse Parliament Building“, where a bill is currently being debated to limit the powers of the public prosecutor’s office responsible for corruption in the future, the agency will no longer be able to investigate administrative officials, while at the same time extending the Ministry of Justice’s control of anti-corruption prosecutors. According to critics, the Romanian government wants to complicate the fight of the judiciary against corruption in the country. In Bucharest around 10,000 people protested.